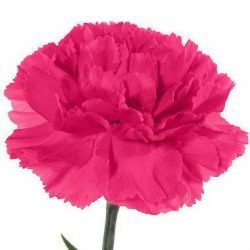 Carnation Flower, Cheerful and Colorful. 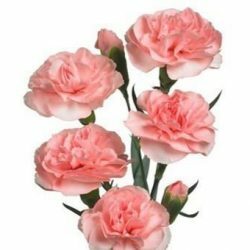 Carnation Flower are ideal as an inexpensive floral decorations for both small and large gatherings. 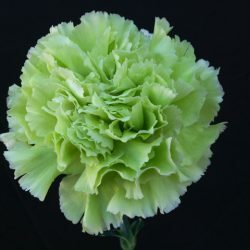 The Carnation Flowers are cheerful and have enticing appeal, complemented by affordability. Their presence at many weddings, school and church functions is a true blessing and are the perfect extra attraction during special events or fundraisers. The cheerful colors of Carnations are particularly suitable for conjuring up themes that portray island appeal. Their versatility is ideal for configuring attractive Carnation Ball centerpieces, leis, bouquets and a host of other flower designs. Of particular note are our Moon series, specially provided for weddings, anniversaries and other special events. 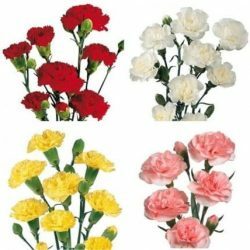 Buy carnation flower in bulk for weddings and special occasions.